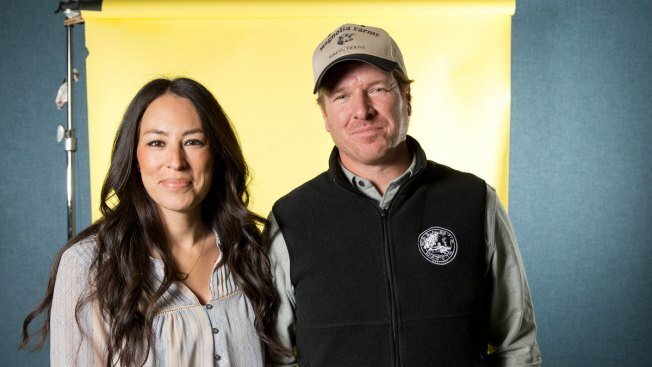 In this March 29, 2016 photo, Joanna Gaines, left, and Chip Gaines pose for a portrait in New York to promote their home improvement show, "Fixer Upper," on HGTV. 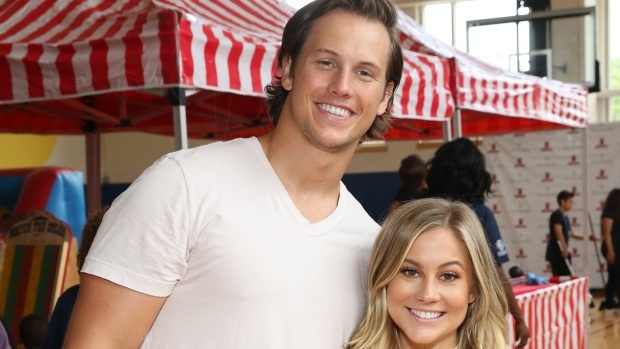 The couple is expecting a baby boy. Chip Gaines and Joanna Gaines are expecting a baby boy. Gaines announced the news in a tweeted video on Wednesday. The clip shows the "Fixer Upper" star asking a young boy named Gage for baby name ideas. The sweethearts met the child at the Tim Tebow Foundation's recent golf outing. "We're just about to have another little baby, because Uncle Chip lost his mind," Chip told the youngster, producing a laugh. "Now, listen to this. This is important: I can't think of a 'D' name. So, can you help me think of a 'D' name?" Chip and Joanna already have two boys whose names start with the letter D: Drake, 12, and Duke, 9. They also have two girls: Ella, 11, and Emmie Kay, 7. Chip then told Gage Joanna is pregnant with a little boy. "Is that a secret? I don't know. That might not even be allowed on Twitter," the HGTV star said. "It's a little boy and I need a 'D' name and so far, all I could come up with was Dragon. [Joanna's] like, 'You are not calling that baby Dragon!' Can you help me?" Chip was happy to have Gage share the big news. "Alright, alright.. if we're going to announce the gender of our 5th child. It might as well come from my new friend #Gage," he tweeted along with the video. "Take it away my man. @tebowfoundation." Chip had a hunch Joanna might be having a boy. Back in January, Joanna shared a video of her sonogram on Instagram and wrote "Chip swears he can already tell it's a boy." The couple announced the pregnancy news in January--just a few months after they revealed the fifth season of "Fixer Upper" would be their last. Chip also revealed the couple conceived the child after attending a Johnnyswim concert in their hometown of Waco, Texas. Over the last few months, Joanna has shared her pregnancy journey with her fans and given them peeks of her growing baby bump. Original Post: Chip Gaines and Joanna Gaines Are Having a Baby Boy!